My Sickle Life: The Plan Had Changed! Have you ever thought of or experienced anything that could change your life and cause a wave of worry and despair to the people that care about you? I have! I wish it were merely a disaster or an apocalyptic destruction or something that could be managed temporarily and not permanently distort my life. However, what I am sharing with you is more devastating than that. It creates a constant sense of worry and fear of the possibility of anything and everything happening. This is the kind of feeling I have when I am alone and trying to enjoy life. I have felt this way throughout my life. I guess this fear deepened a few years ago when I was diagnosed with avascular necrosis (AVN), due to an abnormality of a major blood component in my body. My hopes and dreams especially as a young man starting life were on a down turn. I had a promising future in my field of study and work in the corporate world. Leaving work on several occasions for physiotherapy wasn’t a good start but I wondered why my employers weren’t startled about it. I’m sure they understood life better than I did. Physiotherapy didn’t present much hope but it was the only option on the table. A very agonising treatment I must say. Helpful but not promising, to me. Again, I was crippled by the fact that my life was going to change. The things I loved to do, the things that made my soul happy and delighted were to come to an end. I just had to try to remember the happy moments to put a smile on my face when in sorrow. I could not go out without taking powerful analgesics (pain killers), which I was informed were likely to harm me later in life. In a few months, my body stopped responding to all of the analgesics. I was in excruciating pain, stuck at home and could not work any more. I begun wondering if I will ever get better? When will that day come? These are the questions I have constantly ask myself everyday for the past year. Should I focus my strength on my faith or on human knowledge and experience? If only they understand what pain is? And I don’t think they do! But I’m not going to give up on myself and my faith. This is just the beginning of a long fight against nature. Perhaps I might have fallen so early but when we fall, we rise!!! Submitted by: Charles, a person living with sickle cell disease. Reviewed and edited by the Sickle Life editorial team. Addendum: Charles has a BSc. Nutrition and Food Science. He has overcome great adversity and is available to work for any organization willing to employ him despite his challenges. Contact us for details. My Sickle Life is a series that provides a platform for persons living with sickle cell disease, their relatives, friends and anybody who has experience with the sickle life to share it for the purposes of awareness creation and stigmatization prevention. Please submit your article by email to sicklelifemd@gmail.com or fill our article submission form. 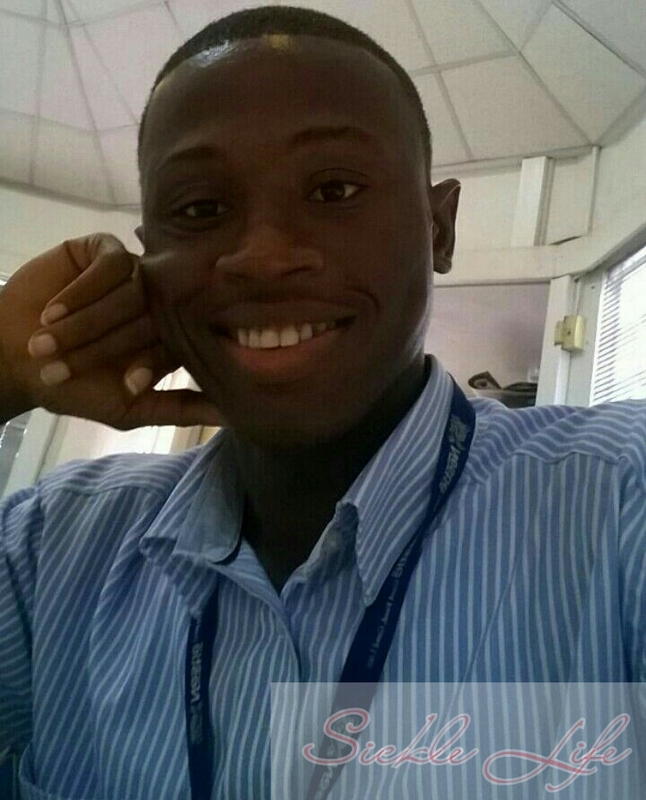 This entry was posted in Blog and tagged Ghana, health, medicine, sickle, sickle cell awareness, sickle cell disease. Bookmark the permalink.